One afternoon, single mother Sara Weston says that she's going to the store--and never returns. 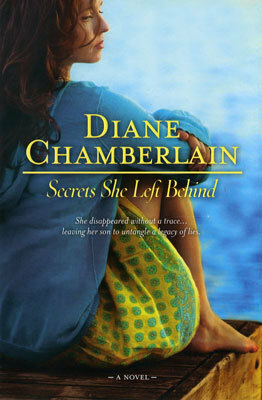 In her absence, she leaves her teenaged son alone with his damaged past and a legacy of secrets. Keith Weston nearly lost his life in an act of arson. He survived--but with devastating physical and emotional scars. Without his mother, he has no one to help him heal, no money, nothing to live for but the medications that numb his pain. Isolated and angry, his hatred has one tight focus: his half-sister, Maggie Lockwood. This book is the sequel to one of Diane's other books called Before The Storm. This one tells more of Keith and Maggie's stories and the struggles they go through after Maggie is released from jail, which happens to be the same day as Sara disappears. There are alot of tough situations for both Maggie and Keith and they happen to go through alot of the same feelings and emotions. I love that Andy has a girlfriend, and Marcus and Laurel have a great relationship. This is your typical Diane Chamberlain book, which has some of everything including drama and mystery. It touches so many topics which keeps it interesting throughout the book. She has a true storytelling talent and this was as good as the rest I've read by her.